Chhattisgarh will be facing crucial Assembly polls in a few months and development will be the main focus of the ruling BJP’s poll campaign. 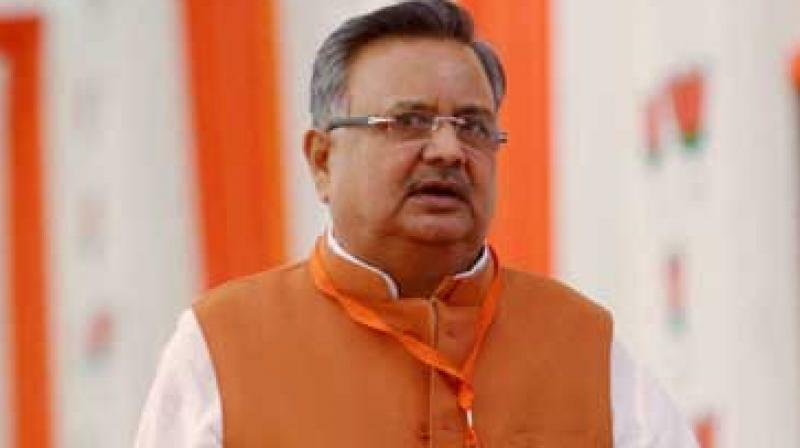 Jagdalpur (Chattisgarh): Come to Bastar, “one of the most beautiful places” in India and do not worry about the Naxals, said three-time Chhattisgarh chief minister Dr Raman Singh while inviting people to explore the tribal regions of the state that have successfully fought off rebels and ushered in development. “There is much more here than the naxals... their (Naxals) presence is very limited now and in couple of years, they will be gone forever,” said Dr Singh speaking at “Bastar Vikas Samvaad” on Friday, where he asked the media to highlight the aspirations of the region and its people. Bastar, one of the naxal-hit regions in Chhattisgarh, is “changing” and its people are “brave enough” to challenge Naxalism for development, the chief minister said, taking credit for improved roads, government schools and power availability. He also shared examples of how change came about in the Bastar region where building “even an inch” of road was a tough job as no contractor would agree to work and seven districts were without electricity for a week because Naxals blew up the main electricity tower. Dr Singh said that today the region has three different electricity connections and soon will get the tag of being 100 per cent electrified. “Just to give you one example, we have 30,000 children studying in schools run in porta-cabins. Their schools were damaged by Naxals but that did not deter these children who continue to study. The drop out rate of children has come down to less than one per cent from 11 to 12 per cent earlier,” said the chief minister. “Hum puri jaan laga kar kaam kar rahe hain, dum se kar rahe hain (we will leave no stone unturned to develop the region),” he added. The state government has also set up education and BPO hubs in the region for the youths and also livelihood colleges to impart skills. Also, a greenfield integrated steel plant has been set up in Nagarnar.